This is a very unusual 30 hour weight driven clock. 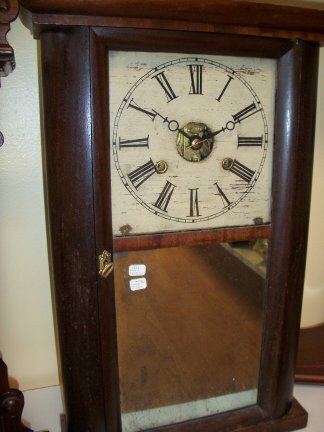 The works are a little different than most 30 hour weight clocks and are unmarked, so the maker is unknown. It is shorter than the normal 30 hour OG clock. 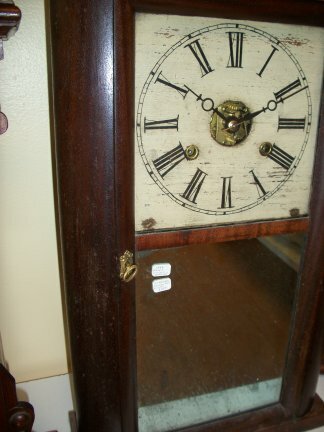 It has a wooden face and the sides of the clock are most unusual by the rounded design. Closer view of clock face. 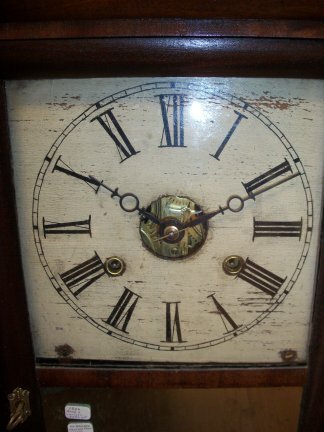 Side view of clock showing the curved sides, rather than the normal flat sides on an OG.